In an extremely rare rebuke, U.S. 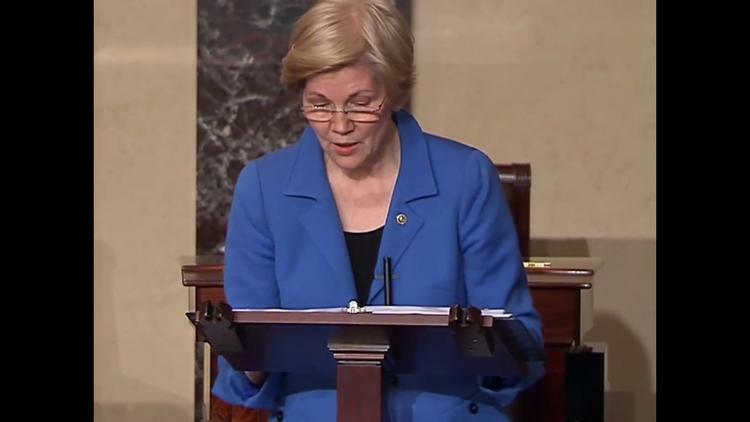 Senator Elizabeth Warren was cut off while speaking on the Senate floor. She had been reading a 1986 letter by Coretta Scott King critical of Jeff Sessions, now President Donald J. Trump’s nominee for attorney general, who was then a nominee to be a federal judge. I regret that a long?standing commitment prevents me from appearing in person to testify against this nominee. However, I have attached a copy of my statement opposing Mr. Sessions’ confirmation and I request that my statement as well as this letter be made a part of the?hearing record. cc: The Honorable Joseph R. Biden, Jr.